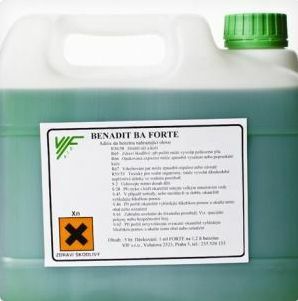 Another product of our company is the BENADIT FORTE gasoline additive, which is a multifunctional additive exclusively for unleaded petrol. Thanks to this additive, unleaded petrol can be used in cars that have been designed for leaded petrol only. BENADIT FORTE serves reliably to protect the valve seat, without adversely affecting the ignition engine wear. Another advantage of the gasoline additive is the protection against the negative effects of the bio-component that each gasoline contains.